Many thanks to everyone who has visited the website and posted comments this week! 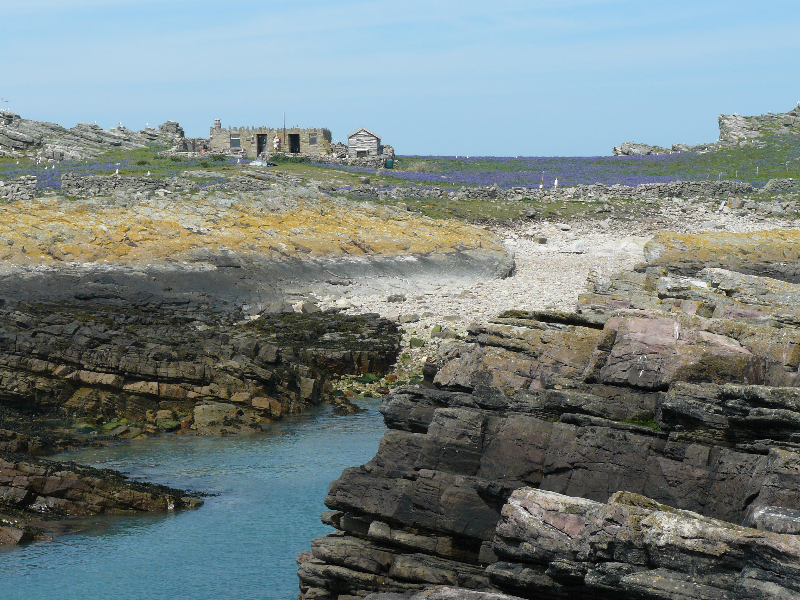 Still very early in the Puffin Season but we expect more visitors to return to Burhou next week as the temperature outside finally begins to rise. Puffin activity is increasing now as they get ready to lay their eggs. With laying due to start within the next week or two you can see Puffins ‘billing’ in a courtship gesture, as well as collecting vegetation and feathers to line their nests with. From just a few at a time we are now seeing double figures of Puffins on the panoramic camera at a time – the season is certainly picking up pace. Watch out for our Seabird Ecologists Daily Digests about the life of seabirds (and people!) on Burhou; get all the latest information on the progress of the breeding season and see the latest clips of the Puffins trundling about their burrows. 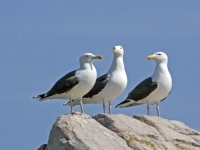 On Monday look out for the Daily Digest 'What we do when we go to Burhou' as Tim explains how the AWT team organize and go about a trip to monitor the seabirds. 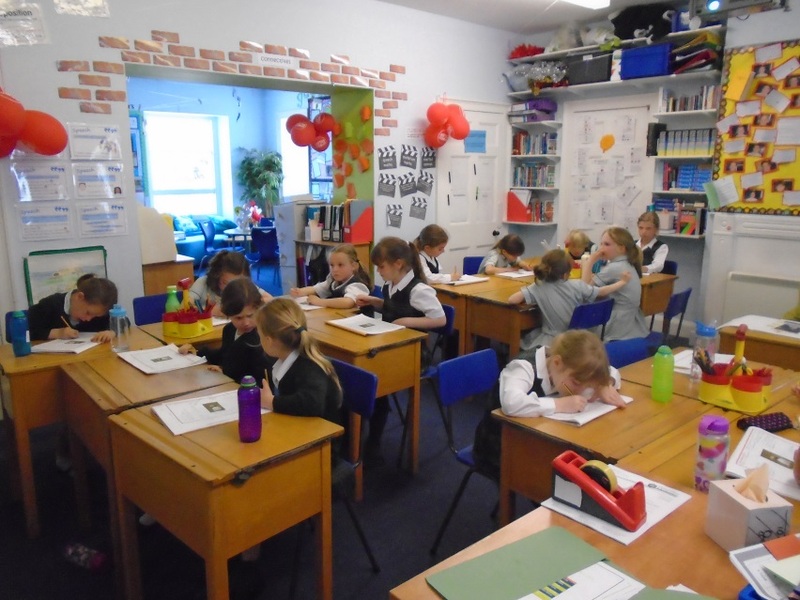 We are aware that many pupils are unable to read and follow events posted on the Daily Digest. To resolve this matter Tim and the Team will, from Monday, be publishing regular audio reports on the website for pupils to replay. Just look out in the future for the radio microphone symbol at the bottom of the written report. If you would like a separate user account for your pupils to use, please do let us know, we can create as many accounts as required. We can also block areas of the website for certain accounts, for example, if you wanted your pupil account to be able to access the Daily Digest and School Zone Blog but not the Resources section. Please email Tim Hall – info@livingislands.co.uk with any account requests, and any other technical support. This week we have added a new photo set to the resources section. Titled “Flying to Alderney” the set contains photos of the air service to and from Southampton and images of Alderney from the air. Other additions this week include short biographies by members of the Trust Team and Volunteers and five high quality short films about Alderney. Literacy Resources – Presently, while this newsletter is being compiled Phil is working on the Literacy Pack. The pack will be ready and up online by the end of this week-end. Thank you to D’Auvergne School, Jersey for their name suggestions. I know that a few more schools are busy coming up with names and we are looking forward to hearing them. Get you name suggestions to us by Friday 26th April at 12pm when we will be picking the winners! When will the Alderney Puffin be visiting your school? 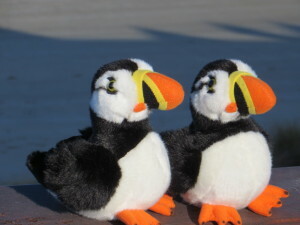 From next week our 2 Alderney Puffins will be visiting all the schools in the project. 1 will be visiting Channel Island Schools whilst the other will be traveling to schools on the UK mainland. So please be ready to receive a parcel in the post! Then at the end of the stay please put the Puffin back in the box and forward it to the next school on the list. Please see last page for the rotas. We are missing a lot of addresses, could those schools highlighted in red please email Aurelie with the school address asap so we can update the list. Next opportunity for your pupils to video conference with Tim & Aurelie! 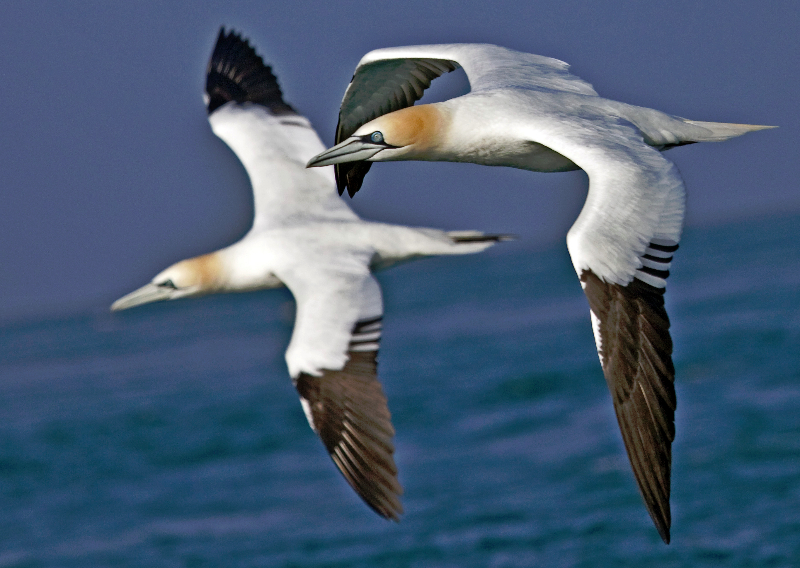 The second opportunity for your pupils to meet Tim and Aurelie and ask questions about the island and its sea birds will be from 10.30 am to 12.30 pm on Friday 26th April 2013. The flashmeeting link for this session is enclosed below. To take part please e-mail Aurelie asap to confirm your class/school time for that afternoon. A warm welcome to the pupils and staff at the William Fletcher Primary School in Yarnton, Oxfordshire. Enjoy the project and the opportunity to make new friends! From Jersey/Guernsey to East Kent to Oxfordshire and South Hampshire we are delighted to report that schools from across the region will be following developments on Alderney from now until the end of the summer term. hello how are you. I have a question why do puffing only come out in the evening? That’s a good question. 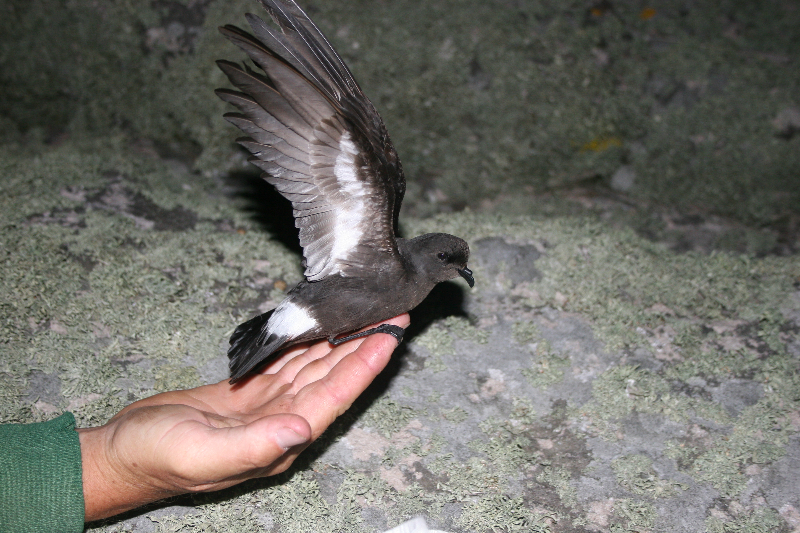 Pufflings come out at night as it gives them more protection from Gulls. Hi! how are you? I have a question for you . How do puffins change the colour of their beaks? At the end of the breeding season, when Puffins return to the sea, they will lose some of the colourful parts of their beaks. They will grow these back at the start of the next breeding season. Puffins are more comfortable swimming or flying than being on land. Also as they eat fish they need to follow where the fish go. Thank you we will put the name in the hat and pick the winner on Friday. Because they are hard and sharp so can dig into the soil easily. So that they can attract a partner for the breeding season. Thank you for your name suggestions. Actually Puffins do migrate. When they go to sea at the end of the breeding season they will go into the Atlantic ocean and go south as far as New York and Morocco. Thank you for your name suggestions, we’ll see on Friday what the Puffins get called. Do puffins dig big holes? Puffins normally dig their own burrow which will be about 70 to 110 cm long. Our Puffins on Burhou use old rabbit burrows, which are much bigger and often have many different tunnels in them. Why are these birds called puffins? I don’t know why a Puffin is called a Puffin. Maybe you could find out for us. The burrows on Burhou are old rabbit warrens. Rabbit warrens have lots of different tunnels in them. So on Burhou sometimes we have a rabbit in one tunnel, a Puffin in another, and last year we saw a Storm Petrel using another one. All of these animals shared the same burrow entrance. I like the names. We’ll find out on Friday what the Puffins will be called. HI HOW ARE YOU AND BY THE WAY I WENT ON YOUR WEB SIGHT AND I LOVED YOUR INFORMATION ABOUT PUFLINGS AND PUFFINS HAVE YOU REALY BEEN THERE AND SET ALL THE CAMERES AND DID YOU SEE ANY PUFFINS AND PUFFLINGS. What time in the evening do puffins normaly come out? Once Puffins have laid their eggs you will normally see the Puffins outside their burrows in the morning between about 8 am and 10 am and in the evenings between about 5 pm and 7 pm. is there more than 100 spiecis opf gulls. why do male puffins and female puffins rub there beaks to gether? 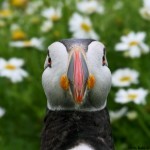 DID YOU REALY SET THE CAMERA AND HAVE YOU SEEN ANY PUFFINS AND PUFFLINGS HAVE YOU. why do puffins get scared of other birds? What time in the evening do puffins normaly come out of there burows? what happens when a rabbit goes in a puffins burrow? why do puffings spend most of there time on sea? Puffins spend most of their time at sea as they have to follow the fish they rely on for food. can you please anser my qwestion ……. Puffins pair for life. This means the same male and female will breed with each other every year, so they have to keep a friendly relationship with each other so that they can raise their chick. how long have puffins been around for? The AWT team have been monitoring Puffins since 2005, but other groups were watching them as far back as 1969. However, no one can say for sure but Puffins are certainly hundreds of thousands of years old at least! hello my name is julia. ermmm why can’t puffins have theair nests on trees or mountins or what ever they always have in the ground please anser it ????? Puffins have to nest in burrows so that their eggs and chicks are safe from predators. Predators such as Skuas and Great Black-backed Gulls could reach them in trees but can’t get into the burrows. Pufflings are raised by their parents, so they will be taught to fish and fly by the adults when they fledge. They will also follow the adults out into the Atlantic Ocean during the Winter. So whilst they don’t have a school they still get a lot of education. Yes they do, but they always make sure not to go in the burrow where the chick is, so that it is a nice place for them to grow up in. Puffins do have the ability to drink sea water, they swallow it after they filter the salt from it. what happens if rabitts gose in a puffin burrow and take the eeg. Luckily Rabbits are vegetarian, this means they will not eat eggs. So Puffins and Rabbits can live together happily. what happens if a puffin mother finds another egg wich is not hers!!!!!!! Each mother Puffin will have her own burrow so there is no confusion in finding another mothers egg. They will make sure to only incubate their own egg. Alderney is a small island South of the UK. It is actually closest to Northern France. when did you first see a puffin? The first Puffin seen on Burhou arrived on March the 19th this year. But I saw my first ever Puffin when I was 6 years old on the Isles of Scilly and have loved them ever since! P.S We wondered do you know how warm it is inside a puffin burrow? Have you ever used data loggers in a puffin burrow to measure the amount of light, sound or temperature? Unfortunately we do not have the equipment to measure temperature, light or sound within a Puffin burrow so am unsure what these levels would be. It is a great idea to find out though and if we can make it happen we will, and let you know the results. Glad you hear you had fun with Cousteau and that he his on his way around the Channel Islands. We are looking forward to seeing his adventures!